Bible translations into Chinese include translations of the whole or parts of the Bible into any of the levels and varieties of the Chinese language. 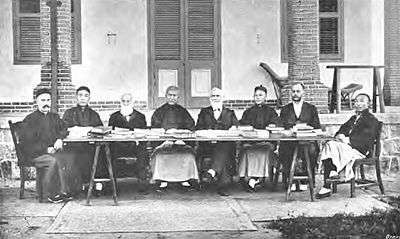 Publication of early or partial translations began in the nineteenth century, but progress was encumbered by denominational rivalries, theological clashes, linguistic disputes, and practical challenges at least until the publication of the Protestant Chinese Union Version in 1919, which became the basis of standard versions in use today. Although the motive for making translations was to spread the Gospel, there were further consequences. Access to the Bible in their own language made it easier for Chinese to develop forms of Christianity not dependent on missionaries and foreign churches. Translations designed to be read aloud were significant not only for Christian believers, but for Chinese who wanted models for writing in the vernacular. Since regional languages or dialects could not be adequately written using Chinese characters, phonetic systems and type faces had to be invented; Christian texts were often the first works to be printed in those languages. The task of translation motivated missionaries to study Chinese closely, contributing to the development of Sinology. The Bible, especially the Old Testament, also offered Chinese revolutionaries such as the leaders of the nineteenth-century Taiping Rebellion an apocalyptic vision of social justice on which to base their claims. Protestant missionaries pioneered the translation into local and regional languages, as well as the printing, and distribution of Bibles. In the nineteenth century, missionaries translated the Bible and taught it in churches and colleges, providing a resource to spread knowledge of the Christian religion. By the twentieth century, Chinese scholars and preachers studied and quoted the Bible, contributing to distinctive forms of Chinese Christianity. The early Protestant translations were made by individuals, sometimes in consultation with others or using manuscript translations from earlier workers. The first Protestant effort was made around 1800 by the Rev. William Willis Moseley, of Daventry, in Northamptonshire, England. He found, in the British Museum, a manuscript translation in Chinese of a Harmony of the four Gospels, the Acts, and all of Paul’s Epistles. He then published “A Memoir on the Importance and Practicability of Translating and Printing the Holy Scriptures in the Chinese Language; and of circulating them in that vast Empire”. The Archbishop of Canterbury recommended that the Society for the Promotion of Christian Knowledge print the Chinese Bible; but, after four years deliberation, the project was abandoned. Then, two independent and almost simultaneous efforts were made. The Anglo-Hindoo College, of Fort William, in Calcutta, established in 1800, created a department devoted to the translation of the Scriptures into Asian languages, mainly the Indian vernaculars, but including Chinese. Professor Hovhannes Ghazarian (Lassar), an Armenian, born and educated in Macau, began by translating the Gospel of St. Matthew, which he finished in 1807. Ghazarian then moved to Serampore, where the work was continued under the care of Dr. Joshua Marshman. The British and Foreign Bible Society published The New Testament in 1813, and the whole Bible in 1822. This was the first known entire printed version of the Scriptures in Chinese. While Marshman's work was progressing at Serampore, the Rev. Robert Morrison pursued the same project in Canton. 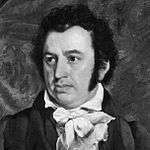 Morrison, sponsored by the London Missionary Society, had arrived in 1807 as the first Protestant missionary to China. The translation of the Scriptures became his primary task because public preaching of the Gospel in the Chinese Empire was prohibited. Before leaving England he had made a copy of the manuscript Harmony of the Gospels referred to above, which he used as the basis of his translation of the New Testament, completed in 1813. He was joined by the Rev. William Milne, but a few days after his arrival in Macau he was compelled to leave and go to Malacca. Though separated, the two friends co-operated in translating the Old Testament; Milne translated the historical books and the Book of Job; the other books were translated by Morrison. The task was finished in November, 1819, and was then revised by Morrison. It was printed from wood blocks and published, in 21 volumes, in 1823. The British and Foreign Bible Society contributed more than 10,000 pounds for the translation, production, and circulation of this and successive editions. Marshman remarked that he and Robert Morrison profited greatly by each other’s labors; the translation would be brought to as great perfection in twenty years as they might have been in the hand of one for the space of fifty. Yet they were never able meet face to face and compare and revise their work. Morrison’s version, like that of Marshman, was intended to be a faithful, literal translation, not an elegant or literary one. Morrison himself made preparation for a revision. In a letter to the Bible Society, he wrote: "I make it my daily study to correct the Chinese version of the Scriptures; and my brethren of the Ultra-Ganges Mission are requested to note down whatever may occur to them as an error or imperfection in the translation. These are sent to the college and preserved, or immediately employed, as may appear best." He hoped that his son, John Robert Morrison, would at some future time revise Morrison and Milne’s translation. The death of Morrison frustrated the plan, for the son, having succeeded to his father's office as Government translator, did not have time to devote to the work. The next translation was made by Walter Henry Medhurst, Karl Gutzlaff, and Elijah Coleman Bridgman. John R. Morrison devoted what time he could spare from his official duties. These men completed the New Testament in 1835; it became the chief version used in the next ten or twelve years by Protestant groups. Although nominally the work of the above-named committee, Medhurst did the lion's share, and he did a final revision in 1836. He also took part in the translation of the Old Testament published by Gutzlaff in 1840. In addition to translating the Old Testament, Gutzlaff modified the version of the New Testament which he and Medhurst had prepared jointly; and he revised and printed some twelve editions of it. The American Baptist Board of Foreign Missions requested the Rev. Josiah Goddard, one of their missionaries, revise Marshman's translation. He published the revised version of the New Testament in 1853, fourteen years after his arrival in China. At his death it was found that he had made only a little progress with the Old Testament, and his work was continued by the Rev. Dr. Dean, of the same mission, residing at Bangkok. A further revision of Marshman’s New Testament was made by an English Baptist missionary, the Rev. T. H. Hudson, and published in 1867. In August, 1843, a meeting of missionaries was held in Hong Kong to discuss the question of another revision, when a plan was adopted by which the services of every missionary capable of rendering aid were enlisted, and at five stations local committees were formed, to each of which a share of the work of revision was given. From these local committees delegates were appointed to form a general committee of revision, by which the translations of the local committees were to be compared, and the version finally determined by the votes of the delegates. The first meeting of the delegates was held in June, 1847, the members of the committee being Bishop Boone, of the American Episcopal Mission; the Rev. Dr. Medhurst, of the London Missionary Society, both living in Shanghai; the Rev. W. Lowrie, of the American Presbyterian Mission, Ningbo; the Rev. John Stronach, of the London Missionary Society, Amoy; and the Rev. Dr. Bridgman, of the American Board of Commissioners for Foreign Missions, Guangzhou. Mr. Lowrie was drowned shortly after the work was begun, and the Rev. William Charles Milne was elected to fill his place. Bishop Boone never attended a meeting of the delegates after the first chapter of St. Matthew's Gospel was finished, and Dr. Bridgman never made a suggestion which his colleagues could accept; thus, when the version was finished he repudiated all responsibility for it, so that the translation was virtually the work of the English missionaries Medhurst, Stronach, and Milne. The committee, aided by several native scholars (principally the Chinese scholar Wang Tao), continued their work daily, from 10:00 am to 2:00 pm, almost without intermission. The translation of the New Testament was finished in July, 1850. It was published with the approval of the delegates, and is known as “The Delegates Version”. Soon after the publication of this New Testament, a revision of the Old Testament was commenced, but owing to a division among the members the committee separated, and the result was two versions. One was made by the English missionaries Medhurst, Stronach, and Milne, and has been called “The Delegates Version”, although this title is not strictly accurate; however, as the actual translators were the same as those who executed The Delegates Version of the New Testament, and as the style is uniform with it, the one title has been given to the whole Bible. The translation of the Old Testament was completed in 1853. Dr. Bridgman and Dr. Michael Simpson Culbertson, American missionaries, withdrew from the committee of delegates and prepared a separate final version. Two members of the Delegates Version translation committee, Medhurst and Stronach, decided to introduce a new translation in Anqing Mandarin. Dr. Medhurst translated the Old Testament and the Rev. J. Stronach carried out the translation of the New Testament. The entire Bible was published in 1856 at the cost of the Bible Society and became the first translation that was not based on a classical, literary style. The Taiping Bible, argues historian Thomas Reilly, had a political as well as religious impact. The Gutzlaff Bible, especially the Old Testament, showed a deity who punished nations that did evil and rewarded those that did good. This deity paid close attention to cultural practices as well, including music, food, and marriage customs. The doctrines in the Taiping Bible were accepted by poor and powerless members of mid-century China because they were presented as a restoration of the authentic Chinese religion of classical antiquity, a religion which the emperors and the Confucian imperial system had destroyed. In 1865 a committee was appointed in the capital to translate the New Testament into Beijing Mandarin. The members of the committee were the Rev. John Shaw Burdon, of the Church Missionary Society; the Rev. Joseph Edkins, of the London Missionary Society; the Rev. Dr. Samuel Isaac Joseph Schereschewsky, of the American Episcopal Church; the Rev. Dr, William Alexander Parsons Martin, of the American Presbyterian Mission ; and the Rev. Dr. Henry Blodget, of the American Board of Foreign Missions. Their task took six years. Schereschewsky, the Episcopal bishop of Shanghai, had the benefit of training in Hebrew as a Jewish youth in Europe before his conversion and American seminary study. His explanations for the translations of controversial terms influenced later versions. The National Bible Society of Scotland sponsored a translation of the New Testament by the Rev. Griffith John of Hankou. The Delegates version, while attractively literary, was considered too learned to be understood by ordinary Chinese. On the other hand, the Mandarin colloquial version was not in a style which Chinese think should be employed in writing on a sacred subject. John’s translation aimed to strike a happy medium between the two. A new effort was inaugurated in 1890 to provide a translation which was both accurate and appealing. Three versions were planned—two classical Chinese versions and a vernacular Mandarin Chinese version. The project was completed in 1919. The only approved Chinese Catholic Bible version is Studium Biblicum. The first Catholic Chinese Bible to be published was started by a young Franciscan friar named Gabriele Allegra, who began translating the Old Testament from the original Hebrew and Aramaic languages in 1935. Ten years later he recruited Friars Solanus Lee, Antonius Lee, Bernardinus Lee, and Ludovicus Liu in Beijing. However, due to the Chinese civil war in 1948, the friars were forced to move the Studium Biblicum to Hong Kong. After twenty years of effort, the first Old Testament was published in 1954. 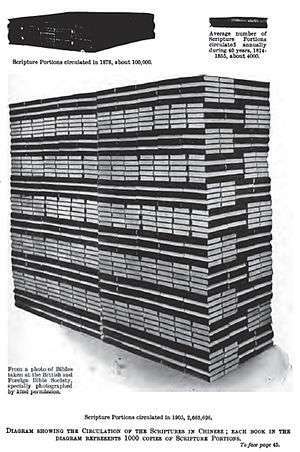 In 1968 the New and Old Testaments were published in a single volume. John C. H. Wu, a Catholic convert, who served as the Republic of China's minister to the Vatican, also made a translation of the New Testament and the Psalms into Classical Chinese in 1946. The translations were not direct and often noted to be florid, and his translation of the Psalms were paraphrases. Three major Orthodox translations of the New Testament have been produced. The first translation was done by Archimandrite Gury (Karpov), head of the 14th Russian Ecclesiastical Mission in Beijing (1858-1864). He commenced translation work from the Slavonic in 1859, completing a draft after four years. This was improved through the participation of several Chinese and ultimately published in the summer of 1864. An updated version of the New Testament was prepared through the work of Archimandrite Flavian (Gorodecky), the head of the 16th Russian Ecclesiastical Mission (1879-1883). Flavian introduced the use of the Chinese language in services and the work to update Gury's translation of the New Testament in 1884. The update included short explanatory notes, particularly connected with the translation of theological terminology. Additionally, it was reported that the update to Gury's translation was partly done with the help of the Protestant translation of the Bible done by Samuel Isaac Joseph Schereschewsky. The third major Orthodox translation of the New Testament was done as part of the 18th Russian Ecclesiastical Mission, led by Innokenty (Figurovsky), Bishop of Pereyaslav, later Metropolitan of Beijing and China. Again updating the work of Fr Gury, the translation was published in 1910 including more commentaries and using the language closer to vernacular Chinese. Since regional languages or dialects could not be adequately written using Chinese characters, missionaries and church leaders invented systems of phonetic transcription, syllabaries, or romanization in order to write and print Christian texts and Bibles. These were in most cases the first works printed in those languages, as in Bible translations into Taiwanese. A similar need led to the invention of several systems for Braille. Missionaries invented writing systems for tribal and minority peoples. At the beginning of the 20th century, the missionary Samuel Pollard invented a phonetic system for Miao and other minority languages which is in use over a century later. List of Chinese Bible translations. Bays, Daniel H. (2012). A New History of Christianity in China. Chichester, West Sussex ; Malden, MA: Wiley-Blackwell. ISBN 9781405159548. Chen, Yiyi (2005). A Brief Survey of the History of Chinese Translations of the Hebrew Bible (PDF). Eber,Irene, Wan Sze-Kar, Walf Knut. eds., Bible in Modern China: The Literary and Intellectual Impact. (Sankt Agustin; Nettetal: Institut Monumenta Serica ; Distribution : Steyler, 1999). ISBN 3805004249. Hanan, Patrick. “The Bible as Chinese Literature: Medhurst, Wang Tao, and the Delegate’s Version.” Harvard Journal of Asiatic Studies 63 (June 2003): 197—239. Yieh, John H. “The Bible in China: Interpretations and Consequences,” in Handbook of Christianity in China. Volume Two 1800–Present. R.G. Tiedemann, ed., 891-913. Brill, 2010. Essay with background and bibliography. Zetzsche, Jost Oliver. The Bible in China: The History of the Union Version, or, the Culmination of Protestant Missionary Bible Translation in China (Sankt Augustin: Monumenta Serica Institute; Monumenta Serica Monograph Series, 45, 1999) ISBN 3805004338. ↑ John Y.H Yieh,"The Bible in China: Interpretations and Consequences," in R.G. Tiedemann, (ed. ), Handbook of Christianity in China. Volume Two 1800-Present. (Leiden: Brill, 2010), pp. 891-892. ↑ Martirosyan, P. «Չինաստան» (China). Soviet Armenian Encyclopedia. vol. ix. Yerevan, Armenian SSR: Armenian Academy of Sciences, p. 47. ↑ Hanan, Patrick. “The Bible as Chinese Literature: Medhurst, Wang Tao, and the Delegate’s Version.” Harvard Journal of Asiatic Studies 63 (June 2003): 197—239. ↑ Irene Eber. The Jewish Bishop and the Chinese Bible: S.I.J. Schereschewsky, (1831-1906). (Leiden; Boston: Brill, 1999). pp. 108-114. ↑ Handbook of Christianity in China Volume One:635-1800. Edited by Nicolas Standaert. Leiden; Boston: Brill, 2001. pp. 620-624. ↑ Ivanov, Peter. "Orthodox Translations of the New Testament in Chinese". ↑ "1864 Orthodox New Testament". ↑ "1910 Orthodox New Testament".